This amazing full-color book is filled with 20 hands-on activities that ignite a sense of curiosity about the wonderful world God has made. 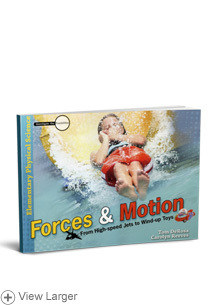 Concepts are introduced in an engaging way - by highlighting the science behind kids at play, like rollerskating, skateboarding, and even running. 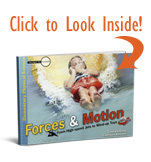 By guiding students through these easy to understand investigations, they learn to explain, apply, expand, and assess what they have personally observed!